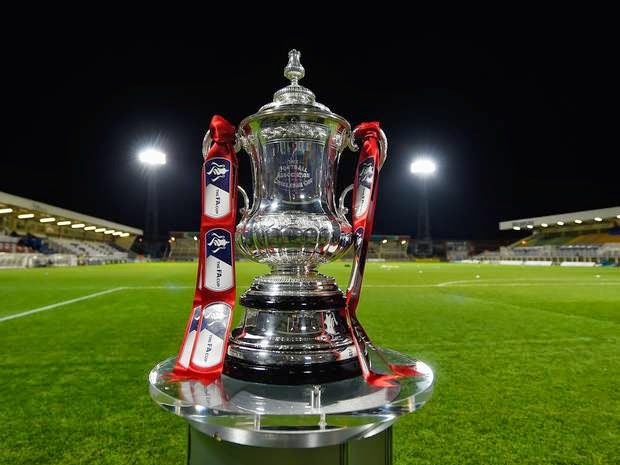 The FA Cup, the oldest knockout football competition in the world, is set to be rebranded as the Emirates FA Cup in a new £30million sponsorship deal. In a move that will upset traditionalists, the FA are understood to have secured a three-year contract with Emirates Airlines. The deal, due to be rubber-stamped by the FA board on Thursday, is believed to be worth at least £10million a year — but comes at a cost for lovers of the 144-year-old competition. Renaming it the Emirates FA Cup is a lot closer to title sponsorship than the previous ‘in association with Budweiser’ agreement, which was worth £9m annually. But the FA, after a highly embarrassing season without any Cup backer that has put huge pressure on their commercial department, needed to offer more to attract a significant sponsor to the table. The hunt proved hugely difficult even after the FA revamped their sponsorship team to bring in expertise honed at Manchester United. And it needed a bit of luck to attract Emirates Airlines, who have a massive sports sponsorship portfolio across the world that includes Arsenal’s stadium and kit. Emirates have big money to spend after deciding last November not to renew their £30m-a-year FIFA sponsorship for the 2018 and 2022 World Cups with the corruption allegations surrounding those tournaments said to be a consideration. And Emirates are no longer involved, either, in the tender for a Champions League airline sponsor, allowing the FA to offer a major football sponsorship alternative. Dubai-based Emirates have their arch Abu Dhabi airline rivals Etihad as Manchester City’s kit and stadium sponsors. But City foresee no problems with an Emirates FA Cup. The new FA deal with Emirates will also allow for a further six subsidiary sponsors for the competition, with Budweiser, Nike and William Hill already signed up. And the ambition is for the whole FA Cup sponsorship portfolio to be worth £20m by 2018. The Emirates deal, likely to be officially announced nearer to the FA Cup final on May 30, is also well-timed for the FA’s commercial department with the new chief executive Martin Glenn arriving at Wembley next month.